Sean Del Ben: Complex Training: How Can Multiple Athletic Attributes Be Trained Simultaneously? Complex Training: How Can Multiple Athletic Attributes Be Trained Simultaneously? I have been asked by a few athletes and training enthusiasts how to best condition multiple athletic attributes (such as strength, power, speed, endurance) simultaneously. The purpose of this short write up is to give a brief introduction to complex training and whether or not it should be a viable training option for athletes of differing training age. Complex training refers to the performance of a resistance exercise immediately followed by the performance of a biomechanically similar explosive exercise (or vice versa). An example would be a loaded squat followed by a jump squat. In many athletes, this will elicit a response known as post-activation potentiation, which will essentially excite the nervous system and acutely optimize muscle force snd power production more than using strength or power training on their own. 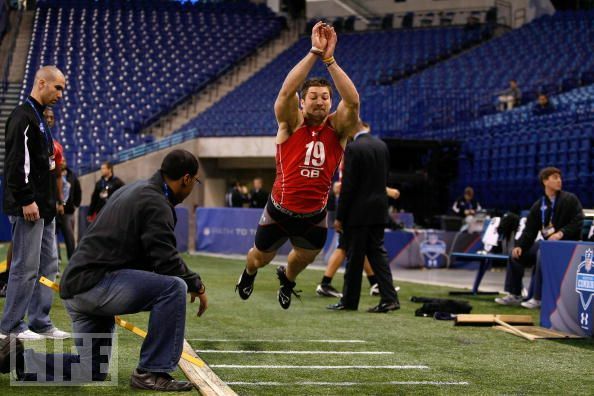 A study by Bullock & Comfort (2011) found that 5 depth jumps induced post-activation potentiation in a subsequent low volume high velocity exercise with a 6% increase in jump performance and a 4.6% increase in shot put distance. This study also found that if an athlete performed 2, 4 or 6 depth jumps prior to performing a low volume low velocity exercise (squats), they would see an increase 1 rep maximum performance. Resistance training can also have a positive impact on high velocity explosive movements. Rahimi (2007) found that 2 sets of 4 repetitions at 60, 70, or 85% of 1RM for a back squat showed improvements in sprint times of 1.9, 1.77, and 2.98% respectively in well trained athletes (capable of squatting at least 2 times body mass). The reason why all athletes do not/should not use complex training is due to the fact that not all athletes show a strong response to this style of training. In Supertraining (Siff, 2007), complex training is historized as a method of training meant to counter monotonous workouts that only develop one physical characteristic (i.e strength, power etc.). Complex training was shown to simultaneously improve the various physical charcteristics needed for many sports. However these conclusions were based on the training of athletes of 'low qualification' (less trained). The degree of emphasis, as indicated by training volume, for each physical characteristic within complex training is not enough to witness more than average adaptations in athletes of 'high qualification' (highly trained). In highly qualified athletes, complex training does not allow them to train with the required volume of explosive or strength based exercises to see significant results. If a highly qualified athlete were to attempt to use a complex training regime with the volume necessary for sufficient adaptation in each individual athletic attribute, they would be putting themselves at risk for burn out and injury via overtraining. *General Physical Preparation (GPP) = Refers to balanced conditioning in endurance, strength, speed, flexibility and other basic factors of fitness. In regards to the topic of this article it would refer to the goal of improving ones strength via an exercise such as a squat. *Special Physical Preparation (SPP) = Refers to exercises which are more specific to the particular sport. In regards to the topic of this article it would refer to the ability to display a high rate of force production with an explosive exercise such as a plyometric. Please note that the GPP and SPP are still interconnected and involve much more depth and understanding than the scope of this write up aims to provide. Now that it has been discussed why complex training is not an effective training protocol for highly qualified athletes, I will briefly outline basic periodization schemes with a goal of improving both GPP and SPP. Prolonged unidirectional loading, such as for strength or power, will result in the development of only one physical characteristic leaving the athlete athletically ill-prepared for the demands of their respective sport. Some strength coaches advocate using complex training mid-season as a way of maintaining all athletic characteristics throughout the season, when availability of training time is scarce. It is important to monitor the performance of your athletes both in the weight room and in their respective sports if the athlete is currently using a complex training program. With input from the sport coach, determine if the athlete possesses enough special sport preparation to maximize their sport performance. If their sport performance is not where it should be, and you are dealing with a highly qualified athlete, it may be time to consider training strength, speed, power, or endurance in separate microcycles. However, during the off-season it is likely preferably in most cases to train an athletic attribute in separate mesocycles for a minimum of four weeks. The athlete is not looking for special preparation until a month prior to the season commencing (in team sports), and should spend a longer period of time focusing on their weak points. Athletes who require a much more significant boost in a single attribute may need to use unidirectional loading for up to twelve weeks. There are many different periodization schemes in existence, and many of them may be effective for your athletes. This very brief write up is meant to give you an introduction to complex training and to create an awareness of the options available to train the multiple athletic attributes required of most sports.